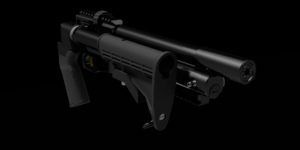 Please pick the model you would most likely purchase as your first American Air Arms airgun. Hi-Power models are designed to shoot cast or swaged slugs. Standard airgun pellets are not acceptable and will not function correctly. 257, 7mm & 408 may not be available for some time. Sport models are designed to shoot standard airgun pellets and custom swagged pellets that fall within standard weights for the specific caliber. Heavy slugs are not suitable. Most shooters prefer the lever on the side that matches their shooting hand. Trigger pull force is not user adjustable although first stage, second stage and position are. Pick any other models you would consider for a future purchase. Chose the calibers you are most likely to purchase. Remember the 257, 7mm and 408 may not be available for awhile. Chose the calibers you are likely to purchase. If you have an interest in something completely different please let us know.